Online banking is a widely popular electronic payment system offered by all leading banking and financial institutions all over the world. It allows banks’ clients to pay bills over the web, shop, send money to other individuals, or pay for various goods and services without the need to visit the bank’s office. In recent years, online banking, or Internet banking and e-banking, as it is also known, has become a preferred payment method for millions of customers because it offers reliability, safety and convenience. Users can easily transfer money from their computer or mobile device, as long as they sign up for the online banking services their banking institution offers. This payment system also allows users to monitor all transactions on their balance and have a firm, clear understanding of their finances over time. Make a payment via online banking The fee that you may be charged, depends on the banking institution. Service Fees Most online banking service have no service fees or they are very acceptable. Transfer funds from an online banking service to bank account The fees that you will pay are usually very small and depend on your bank. Transfer funds from Merchant to online banking account Usually, this transaction does not impose any surcharges. Online banking has gained popularity as a reliable and convenient payment method in many well-established web-based casinos, as well. Players can load funds into their casino balances using the online banking facilities of the bank they have an account with. Alternatively, they can choose to use a third-party online payment services provider such as iDebit, POLi payments, and others. Along with being the safest online payment method available, online banking is also relatively fast, with processing times depending on the particular bank and its practices. Online banking functions just like traditional branch banking, but it happens on the Internet, instead of in the “real world” where you need to physically go to the bank’s office. In order to be able to use the online banking facilities of their bank, users first need to register for this service in either a land-based office or online. Once they have an active online banking account, customers are free to carry out financial operations at any time and from any location around the world. Transfers are in real time, as well as incredibly safe as banks employ some of the best online security technologies and tools available today. Typically, users will receive a customer number/ customer ID and a password from the bank. Then, they can create an account on the website of the bank using these credentials. Depending on the financial institution, another one or two security and verification steps may be required. However, many merchants and gambling providers on the Internet have not integrated online banking as a payment method on their websites. So, a good alternative for online casino players is the use of third-party agents, which act as intermediaries between the bank and the casinos. As some banks do not allow transactions to or from gambling sites, these third-party services may be very useful for this purpose. 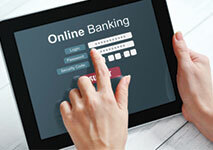 Creating an online banking account is easy and free of charge. It provides users with a safe, quick and flexible way to use their bank accounts to pay their bills, make purchases or fund their online casino balances. Making deposits via online banking at web-based casinos is fast, easy, and is widely popular among players who do not have credit cards or do not wish to use them for gambling. All they need to do is go to the Cashier page on the casino site and opt for Online Banking from the list of payment options. When they choose their preferred bank, they will be redirected to the website of either their bank or the alternative online banking option they are using (iDEAL, Nordea, POLi, etc.). Normally, a new window would open, displaying the online baking interface of the specific bank. Here they will need to log into their account, entering their User ID, password, or any other verification method their bank is using such as a two-factor authentication token, for instance. Then, they only need to enter the specific amount of money they wish to deposit and confirm the transaction. For many casino players, this payment method is very easy to use, as they are already quite familiar with it. It is possible to withdraw funds from your online gambling balance to your bank account, but it usually takes longer than deposits. The procedure is basically the same as when you are making a deposit, so most players should not encounter any issues. On the Banking or Cashier page of the casino, they simply need to opt for Online Banking from the list of withdrawal methods. Then, following the on-screen instructions, they need to fill in the blank fields and authorize the transaction. The processing times vary between different banks and casinos, while some financial institutions may even reject the transfer due to rules against any gambling-related activity. So, before opting for online banking for withdrawals from your casino balance, check the policies of your bank, as well as the state regulations regarding online gambling. Another thing to keep in mind is the verification process and the pending time at online casinos. Before they process any payout, they require players’ to send or directly upload on the gaming website copies of government-issued ID and a proof of address such as recent utility bills. The verification process may take from a couple of days to several weeks to complete. The withdrawal may also be delayed by the pending period, which is usually at least 24 hours. During this time, casino players may decide to cancel their withdrawal. Typically, casinos will not charge for withdrawals, but some banks will impose fees for the electronic transfer. While the standard online banking is widely preferred by players, it is not always available as a payment option in the casinos they play at. There may be processing fees, although typically they are quite low and vary, depending on the banking institution. The funds are transferred directly from the player’s bank account to the online casino balance, but this may take a longer time, especially when it comes to international transfers. This delay can be avoided by using intermediary payment services, often called instant bank transfers, provided by non-banking operators such as iDeal, POLi, Citadel, or Trustly. In order to use them, casino patrons need to be of legal age (18 years and older) and have a bank account, as well as an active online banking account. Citadel is a Canadian-based provider of online payment services, available across 300 banks and 33 countries in Europe and North and South America. Along with its popular e-wallet, Citadel also offers casino players an instant banking service, which is now accepted by most of the leading casinos on the web. While new registrations for the e-wallet are no longer accepted, Instant Banking by Citadel has become very popular in a number of locations, including the UK, Canada, Australia, Japan, the United States, as well as half of the EU countries. It supports the local currencies of all countries where it is available in. The greatest advantage of using Citadel for casino deposits is that no separate account is required. In order to make payments, players simply need to have an online banking account in one of the associated financial institutions. No registration is needed – when they choose Citadel as a payment option in the Cashier section of the website, they will be redirected to the online banking website of their bank. There they can safely login and confirm the transaction. The deposited funds will appear immediately in their casino balance. Not all casinos which accept Citadel as a deposit option will support it as a withdrawal method, however. In addition, withdrawals with this method may not be instantaneous and fees may apply in some instances. All this would depend on the specific bank you have an account with. The best thing is that when using Instant Banking by Citadel, no information is exchanged between you and the casino. The transactions are completely anonymous. Introduced in 2005 in the Netherlands, iDEAL is the most popular instant banking transfer services provider among Dutch players. It is not a centralized payment system and no registration is required for making casino deposits through it. It uses the online banking facilities of the banks, so it is available to all gamblers who have accounts in some of the leading financial institutions in the Netherlands. It is also popular among casino patrons in Belgium and a few others European countries. The associated banks include all members of the Currence bank association, namely ABN AMRO, ASN Bank, bunq, Friesland Bank, ING Bank, Knab, Rabobank, RegioBank, SNS Bank, Triodos Bank and Van Lanschot. Deposits via iDEAL are simple and fast – when players select it as their deposit method on the Cashier page of the casino site, they can choose their bank and the amount of funds they want to top up their balance with. Then, the page will redirect them to the online banking interface they are already familiar with. Once they log in, using their online banking credentials, they can review all transaction data and confirm the payment, which will instantly appear in their casino account, too. Payments are processed exclusively in Euro (EUR). There are no fees charged by the service, but some financial institutions or online casinos may charge a processing fee for each deposit. However, withdrawals cannot be carried out via iDEAL, so players need to consider alternative methods for receiving their winnings. Giropay is a convenient online payment method, available to gamblers in Germany and Austria. It is accepted in multiple online casinos and is integrated into the online banking systems of more than 1,500 banks in the region. This service supports only EUR and is available only in German, so if you are not fluent in this language, you might want to find an alternative banking method. Making deposits via Giropay requires only registering for online banking services with your bank. Once you have an active account, choose Giropay from the list of deposit options on the casino Cashier section. Just like other direct online banking services, you will be redirected to the login page of your bank’s website. To sign in, you will need your online banking account number and your PIN code. When you fill in the payment form, you will be asked to authorize the payment via a TAN code or Transaction Authentication Number. Your bank will send you the TAN via a text message (or through some other means) and the code will be valid only for a single transaction. This significantly enhances the security of the online payment, making it virtually impossible for the data to be stolen or copied. Players who choose this payment method should be aware that withdrawals are not possible and deposits via Giropay are charged a small fee, depending on the rates of the particular bank – from 0,9% to 1,2% plus €0,08 per transaction. Available to all Canadian residents over the age of 18, iDebit is one of the most popular online banking services in the country. It is accepted in a large number of web-based casinos, gaining popularity among casino enthusiasts for its simplicity and lack of fees. It allows you to make payments directly from your bank account securely and instantly. In order to make deposits via iDebit, players need to have an online banking account at one of the Canadian banks, affiliated with the service, as well as a registration at the iDebit website. 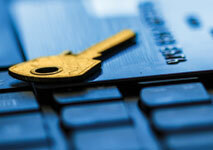 To create an iDebit account, you will need to provide basic personal and banking information. While some players may prefer not to disclose such sensitive data with third parties, iDebit is, in fact, one of the safest and most reliable options right now. The registration takes only a few minutes and is verified by email. Alternatively, casino patrons can also use iDebit as Guests and log in with their online banking credentials. You can instantly make deposits to your online casino balance when you select iDebit as a payment option on the casino website. You will then be asked to log into iDebit (with your iDebit or online banking account), specify the amount of money you wish to deposit and confirm the transaction. This is a real-time transfer, so you will be able to use your newly deposited funds immediately. Withdrawing funds through iDebit is also a great option for players, as the process is just as simple as making deposits. However, this option is available only to those who register an account with the service. You can easily cash out, but your winnings will be transferred from the casino balance into your iDebit account and not directly into your bank account. You can then move them to your bank or store them as in an e-wallet. Deposits from your iDebit balance are free of charge, whereas deposits from your bank account via this service come with a fixed fee of CA/US$1.50 per transfer. Withdrawing directly to your online banking account costs CA/US$2.00, while cashing out to iDebit is free. Nordea is the largest financial services provider across Scandinavia and serves more than 10 million customers in Sweden, Denmark, Finland, Norway, Russia, and Poland. In recent years, it has expanded its operations in Germany, Luxembourg, Switzerland, the United Kingdom, China, Singapore, Brazil, and the United States. It has become a popular payment method among gamblers with its online banking service. Nordea is accepted by most of the large web-based gambling operators, so it is a convenient deposit method, which provides safety and fast transfers. To fund your casino balance, first, you need to hold an account at one of the banks in Nordea’s network. When you select Nordea as a deposit method on the Cashier section of the online casino, you will be redirected to the login page. Here, you need to enter your Access Code – a unique ID and a one-time security code, the amount of funds you wish to deposit, as well as a confirmation code to authorize the transaction. All these will be provided to you by your bank when registering for online banking services. Nordea does not allow withdrawals from online casinos, so players will need another payment method to cash out. Online banking is one of the safest payment methods available to gambling enthusiasts because most banks and instant bank transfer providers protect their websites with a combination of security measures. Transactions are encoded with SSL or TLS digital encryption protocols, whereas authentication is done through passwords, User IDs, security codes, and many others. All personal information and banking data remain protected and private, so players should not concern themselves over fraud, identity theft, etc. The greatest advantage of online banking is that it is widely available and accepted by almost all reputable casinos on the Internet. Deposits are fast or immediate when done through an instant bank transfer, as well as completely secure. Online banking is also a more affordable option, especially when compared to some popular e-wallets, which are equally convenient but impose high fees for each transfer. Even though some online casinos do not offer online banking for deposits and withdrawals, they are likely to allow payments via at least one or two instant banking services. Depending on the country you reside in, as well as the bank you have an account with, you may have multiple options, including one or more of the above-mentioned services. The standard online banking transfers where you move funds directly from your bank account to your online casino balance may take longer to clear sometimes. Using third-party online payment processors may speed up the process, but poses the risk of disclosing sensitive information to non-banking institutions. Still, many of them are perfectly legal, licensed and trusted companies that would only improve your online security and keep your personal details confidential. The processing times for withdrawals can also range from 2 to 10 business days, which means you cannot cash out as fast as you wish. As online banking is accepted by most of the large web-based gambling providers and is available practically all over the world, it is no surprise that it remains one of the most popular methods for depositing and even withdrawing funds from online casinos. The popularity of instant bank transfer services such as Nordea, iDebit and iDeal is also rising, because they combine the security and reliability of bank transfers with the convenience and time efficiency of credit cards. Most of these services do not charge any additional fees and give direct access to your bank account balance without disclosing your identity and banking details to merchants and casino operators.